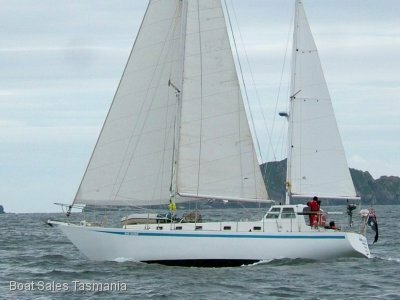 "Freelance" is a much-admired bluewater capable cruising motor-yacht. Her fishing boat-type lines with flared bow and attractive sheer result in a sea kindly vessel capable of handling the toughest sea conditions. 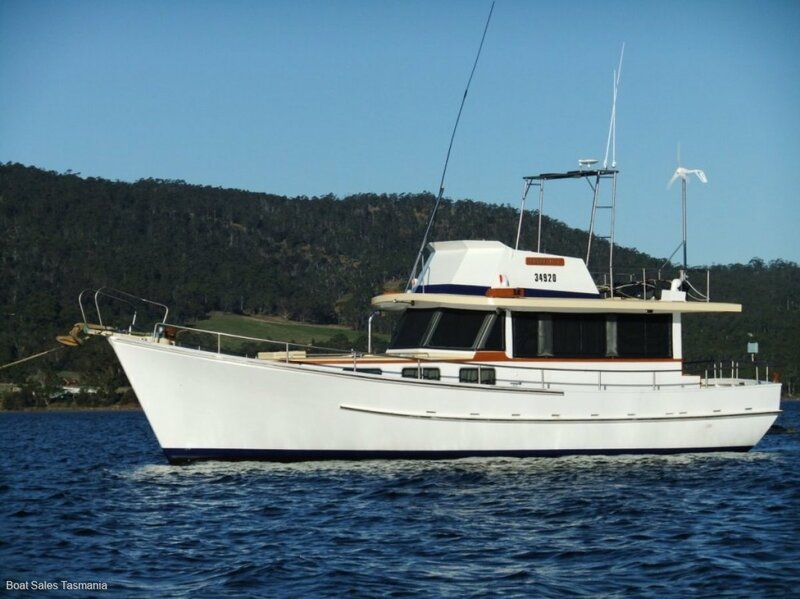 With her very comfortable fit-out she is an ideal southern waters cruiser. 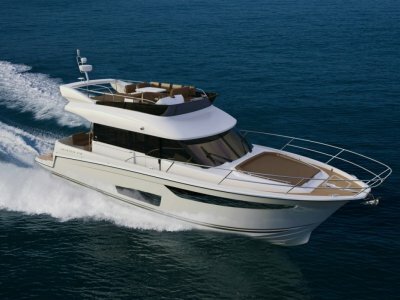 She features a large flybridge, a spacious saloon with large windows all around, two reclining leather armchairs, private cabins, separate shower, diesel heater, Onan genset and much more. "Freelance" is ready to cruise. Prince Of Wales Bay, Goodwood Near Hobart. 6BT 5.9 litre Cummins diesel rated 215 hp. These engines are regarded as one of the most reliable ever. Engine room accessed via hatch on aft deck. Well-lit with all-around access including steering gear. A comprehensive range of tools and spares stored in the engine room. 8 kts @ 1800 rpm. Onan 6.5 kva. Fuel consumption approx. 1 litre per hour. Window shadecloths. 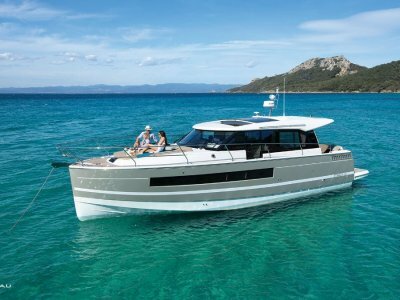 Flybridge bimini top. Protective covers on varnished doors. On deck, the wide walk-around side decks with high bulwarks and heavy duty stainless steel rails make for safe, easy crew movement. The cockpit is spacious. The bridge deck extends over the cockpit providing shelter. The cockpit is accessed via the substantial boarding platform and transom gate. Step through the sliding door into the huge saloon with helm forward to starboard and galley aft to port. Twin Topform leather recliners with settee and dinette. Excellent, all-round visibility. Clearview at helm. Passage forward from the saloon forward to private two single cabins, port and starboard. Both with good stowage and well-lit. Separate toilet and shower compartments. Forward again to another cabin with two generous single berths. 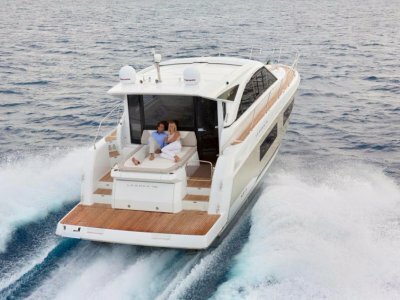 Crew comfort is enhanced by an efficient diesel cabin heater. Hot and cold shower in separate compartment, with vanity. Bathroom with manual marine toilet and vanity. Shower in separate cabin opposite. The well-equipped galley runs along the port side. Large windows give the cook plenty of light and a great view. The equipment includes a Force Ten, 4 burner stove with grill & oven, a 12V extractor fan, a Sharp Microwave 240V, A stainless steel sink with draining board with hot and cold water. The fresh water is filtered. Muir vertical windlass with chain gipsy and rope drum. Remote control at the helm. 80lb plough with ample chain and warp. 1 x genset 12v battery. Solar Panels: 5 x 20W. Boarding platform aft accessed via marlin door in transom.